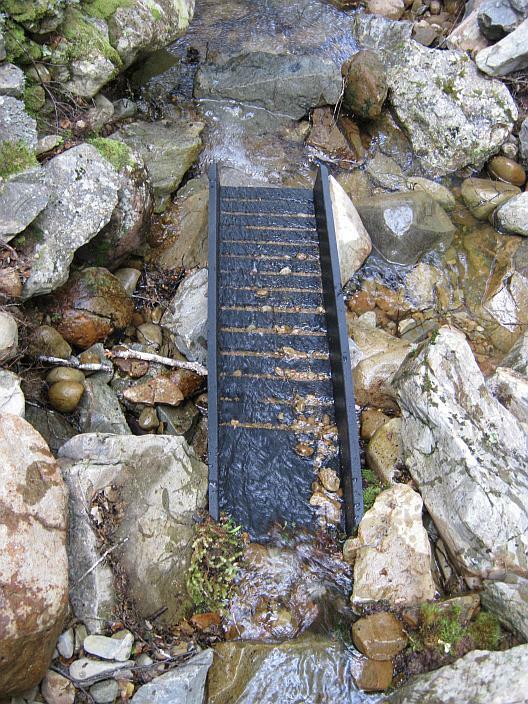 Sluice boxes have been a part of gold mining since man first discovered that by replicating the river bed it was possible to trap gold in artificial rock crevices just as natural rock crevices accumulate gold. By mimicking a river bed it was possible to pass a much greater amount of material than it was to pan every shovelful by hand. Early sluice boxes were large heavy contraptions and notoriously inefficient in gold recovery. Most of the fine gold was washed straight through the sluice box and regular accidents would often mean the loss of gold that had been trapped in the sluice box. Sluice box technology has moved on although the principles remain the same. Today there are different riffle designs that are more effective than the rudimentary designs first used. Specially designed matting is often used to help trap the fine gold and sluice box break-down has been made simpler to help reduce the amount of accidental gold loss. Just when it looked as though sluice box technology had reached its pinnacle along came the team from California Sluice Box company and they were able to take sluice box technology to a whole other generation. Instead of using wood like the early gold miners used in sluice box production, or alloy like many of the current manufacturers of sluice boxes use, California Sluice Box company used a tough ABS plastic. The plastic construction is tough enough to use for many years (it is a similar plastic to that used in wheelie bins) but it is also much lighter than traditional sluice boxes. If you are trying to prospect for gold, being able to travel further than everyone else prospecting for gold is definitely an advantage. You don’t want to be working through everyone else’s tailings all the time. The other great advantage is with the riffle design. Because plastic can be injection molded it has been able to achieve a drop riffle design that reduces turbulence to a minimum allowing even the finest gold to settle in the riffle grooves without being washed through the sluice box. Just like in a river there are a variety of riffle trap designs with some more effective at capturing the big gold and others specifically designed to capture the fine gold. Clean up is much easier with a California Sluice Box because there is no need for messy matting, and the large amount of black sand that other sluice boxes trap does not accumulate with a California Sluice Box. The efficiency of this design has to be experienced to be believed, but once you have witnessed how effective they are at trapping just the gold you will never go back to the other cumbersome and less efficient designs. Why Choose A California Sluice Box? They are lighter – durable ABS plastic construction. The are simpler – one piece sluice boxes. They are easier to use – no complicated riffle/moss installation and cleaning. They capture more gold – advanced drop riffle design creates less turbulence.